More and more facts about positive effects of yogurt on children’s health. 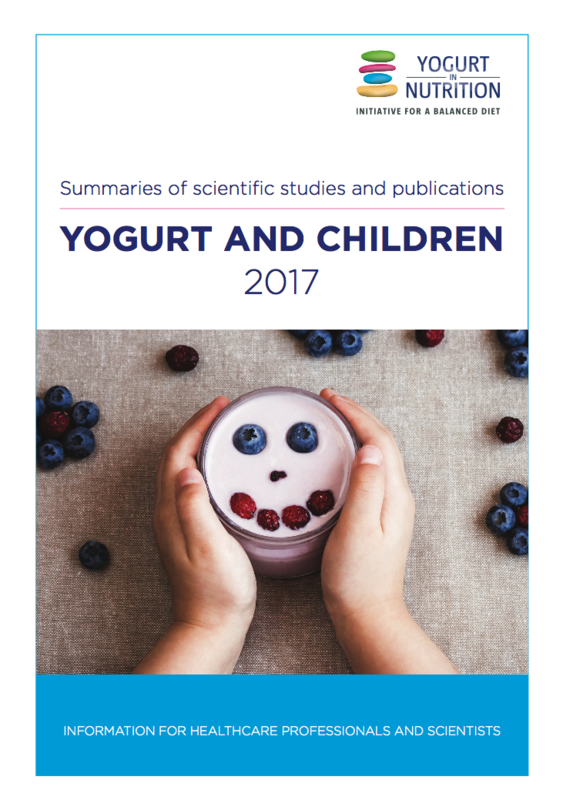 The goal of these « Best of » scientific studies is to bring together the current evidence about the associations between yogurt and overall diet quality, nutrient and sugar intake. In addition, associations between dairy and yogurt intakes on child health outcomes are reviewed. There is accumulating data that adult yogurt consumers have better dietary intakes, reduced cardiometabolic risk factors and healthier lifestyles than non-consumers.. The current epidemic knowledge of childhood obesity shows that – associated metabolic syndrome, burgeoning risk of cardiovascular disease and diabetes upsurge among younger age groups. That represents a threat for individuals – but also places an enormous burden on health care resources in many countries. We summarise here the main key messages. Recent data from national surveys in many countries consistently reveal that current dietary intakes in children and teens are not sufficient for many key nutrients like: calcium, potassium, vitamin D.
Thus yogurt could be an appropriate solution as it is high-nutrient, low-energy food source that helps to meet the dietary requirements for calcium, potassium and vitamin D. Yogurt is also a source of high quality protein. Too much sugar in yogurt? check the facts! Many children and teenagers, like their parents, exceed the recommended intake for sugar (which should be <10% of total daily energy intake, according to the World Health Organization. There is a common misconception that sweetened yogurt consumption contributes to this problem. However, consumption of low-fat fruit flavored yogurt contributes in small proportion in children’s sugar intakes, and is associated with reduced saturated fat intake. Hence among children and adolescents, yogurt contributed only 1–8% of their intake of total sugars. In addition, there is several evidence that children, who yogurt consumers, have a lower CVD risk factor and a lower risk of being overweight or obese in childhood, in comparaison with non-consumers. Yogurt consumption more than once a week was associated with improved insulin profiles as shown by lower levels of fasting insulin, reduced insulin resistance, and improved insulin sensitivity. Further epidemiological studies and clinical trials are warranted to evaluate the effect of yogurt on modulation of the gut microbiota and the prevention of the risk of obesity and cardiometabolic diseases. We hope that you consider this a useful resource for your clinical practice. Check it out! What’s the effect of yogurt on blood glucose?